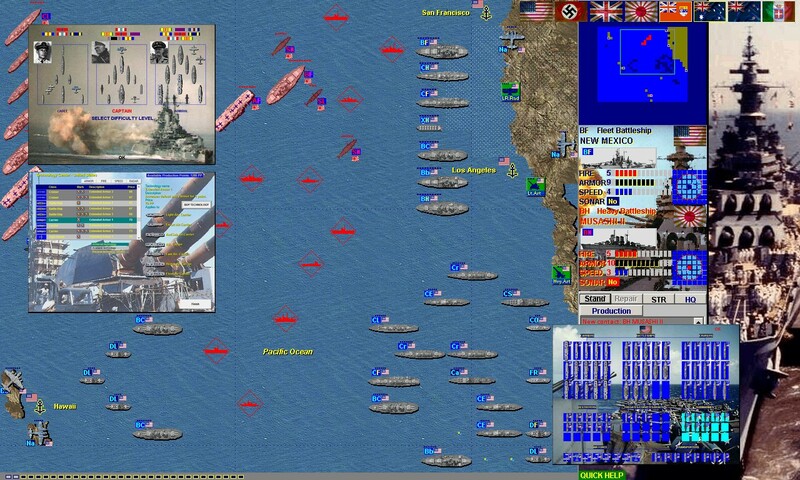 Battleship Game - WW2 Naval Strategy: ship, plane and submarine game. World War 1 or the First World War, 1914 - 1918, was the first war that involved nations spanning more than half the globe, hence world war. It was commonly called The Great War or sometimes "the war to end wars" until World War II started, although the name "First World War" was coined as early as 1920 by Lt-Col à Court Repington in The First World War 1914-18 ( WW1). Though triggered by the assassination (June 28, 1914) of the heir to the Austro-Hungarian throne, Franz Ferdinand, Archduke of Austria in Sarajevo, Bosnia at the hands of a pro-Serbian nationalist assassin (a Bosnian Serb student named Gavrilo Princip), the war's origins lie in the complex relations of the European powers in the late 19th and early 20th centuries. The Franco-Prussian War of 1870-71 had brought not only the establishment of a powerful and dynamic German Empire , but also a legacy of animosity between France and Germany following the latter's annexation of the formerly French territory of Alsace-Lorraine. Under the political direction of her first Chancellor, Otto von Bismarck, Germany secured her new position in Europe by an alliance with Austria-Hungary and a diplomatic understanding with Russia. The accession (1888) of Emperor Wilhelm II brought to the German throne a young ruler determined to direct policy himself, despite his rash diplomatic judgment. After the 1890 elections, in which the centre and left parties made major gains, and due in part to his disaffection at inheriting the Chancellor who had guided his grandfather for most of his career, Wilhelm engineered Bismarck's resignation. Much of the fallen Chancellor's work was undone in the following decades, as Wilhelm failed to renew the arrangement with Russia, presenting republican France with the opportunity to conclude (1891-94) a full alliance with the Russian Empire. Worse was to follow, as Wilhelm undertook (1897-1900) the creation of a German navy capable of threatening Britain's century-old naval mastery, prompting the Anglo-French Entente Cordiale of 1904 and its expansion (1907) to include Russia. Rivalry among the powers was exacerbated from the 1880s by the scramble for colonies which brought much of Africa and Asia under European rule in the following quarter-century. Even the once hesitantly imperialistic Bismarck became an advocate of overseas Empire, adding to Anglo-German tension as German acquisitions in Africa and the Pacific threatened to impinge upon British strategic and commercial interests. Wilhelm's support for Moroccan independence from France, Britain's new strategic partner, provoked the Tangier Crisis of 1905. During the Second Moroccan or Agadir Crisis (1911), a German naval presence in Morocco tested the Anglo-French coalition once again. Alarm at Russia's unexpectedly rapid recovery after 1909 fuelled feeling among German ruling circles in favour of a pre-emptive war to break alleged Entente "encirclement" before Russian rearmament could tip the strategic balance decisively against Germany and Austria-Hungary. 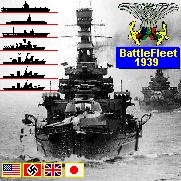 By 1913 both France and Germany were planning to extend military service, while Britain had entered into a naval convention and military discussions with France during the previous year. Austrian regional security concerns grew with the near-doubling of neighbouring Serbia's territory as a result of the Balkan Wars of 1912-1913. Many in the Austrian leadership, not least Emperor Franz Joseph, and Conrad von Hötzendorf, worried about Serbian nationalist agitation in the southern provinces of the Empire; they were still haunted by the memories of the Piedmontese inspired campaigns against the Austrian Italian provinces in 1859. Just as France had backed Piedmont in the campaign culminating in the Battle of Solferino, they worried that Russia would back Serbia to annex Slavic areas of Austria. The feeling was that it was better to destroy Serbia before they were given the opportunity to launch a campaign. Some members of the Austrian government also felt that a campaign in Serbia would be the perfect remedy to the internal political problems of the Empire. Many of them were frustrated by the power of the Hungarian government in the Empire. In 1914 the government of the Austro-Hungarian Empire had a "dualistic" structure. Austria and Hungary had essentially separate governments under one monarch. The Austrian government retained control over foreign policy, but was still dependent on the Hungarians for such things as budgetary approval. Often the Hungarian leadership, under István Tisza refused Austrian requests for things such as increased military spending. In hopes of ending the political grid-lock that this caused, many hoped to form a federation, or at least trialistic monarchy. The solution was seen in increasing the numbers of Slavs in the Empire. Franz Ferdinand's assassination in June 1914 provided the opportunity sought by some Austrian leaders for a reckoning with the smaller Slav kingdom. The Sarajevo conspirators were alleged by the Austro-Hungarian authorities to have been armed by the shadowy Black Hand, a pan-Serb nationalist grouping with links to Serbian ruling circles. With German backing, Austria-Hungary, acting primarily under the influence of Foreign Affairs Minister Leopold von Berchtold, sent an effectively unfulfillable 15-point ultimatum to Serbia (July 23, 1914), to be accepted within 48 hours. The Serbian government agreed to all but one of the demands. Austria-Hungary nonetheless broke off diplomatic relations (July 25) and declared war (July 28) through a telegram sent to the Serbian government. The Russian government, which had pledged in 1909 to uphold Serbian independence in return for Serbia's acceptance of the Bosnia annexation, mobilized its military reserves on July 30 following a breakdown in crucial telegram communications between Wilhelm and Nicholas II, who was under pressure by his military staff to prepare for war. Germany demanded (July 31) that Russia stand down her forces, but the Russian government persisted, as demobilization would have made it impossible to re-activate its military schedule in the short term. Germany declared war against Russia on (August 1) and, two days later, against the latter's ally France. Germany's plan (named the Schlieffen plan) to deal with the Franco-Russian alliance involved delivering a knock-out blow to the French and then turning to deal with the more slowly mobilized Russian army. Rather than attack France directly, it was deemed prudent to attack France from the north. To do so, the German army had to march through Belgium. Germany demanded this free passage from the Belgian government, promising that Belgium would be Germany's firm ally if this was agreed to. When Belgium refused, Germany invaded and began marching through Belgium anyway, after first invading and securing tiny Luxembourg. It soon encountered resistance before the forts of the Belgian city of Liège. Britain sent an army to France, which advanced into Belgium. The delays brought about by the resistance of the Belgians, French and British forces and the unexpectedly rapid mobilization of the Russians upset the German plans. Russia attacked in East Prussia, diverting German forces intended for the Western Front. Germany defeated Russia in a series of battles collectively known as the Battle of Tannenburg, but this diversion, allowed French and British forces to finally halt the German advance on Paris at the First Battle of the Marne (September 1914) as the Central Powers (the German and Austro-Hungarian Empires) were forced into fighting a war on two fronts. August 20, German forces occupy Brussels. August 23, Japan declared war on Germany. October 9, Siege of Antwerp - Antwerp, Belgium fell to German troops. November 1-5, Ottoman Empire entered the war on the side of Germany and Austria-Hungary. October: Bulgaria entered the war on the side of Germany and Austria-Hungary. August 14, the Republic of China declared war on Germany. The Ottoman Empire joined the Central Powers in October - November 1914, threatening Russia's Caucasian territories and Britain's communications with India and the East via the Suez canal. British action opened another front in the South with the Gallipoli (1915) and Mesopotamia campaigns, though initially the Turks were successful in repelling enemy incursion. But in Mesopotamia, after the disastrous Siege of Kut (1915-16), the British reorganized and captured Baghdad in March 1917. Further to the west in Palestine, initial British failures were overcome with Jerusalem being captured in December 1917 and the Egyptian Expeditionary Force under Edmund Allenby going on to break the Ottoman forces at the Battle of Megiddo (September 1918). Italy, since 1882 notionally allied to the German and Austro-Hungarian Empires but with her own designs against Austrian territory in South Tyrol, Istria and Dalmatia, and a secret 1902 understanding with France effectively nullifying her alliance commitments, joined the Allies in May 1915, declaring war against Germany fifteen months later. Italian action along the Austrian border pinned down large numbers of enemy troops, though the crushing German-Austrian victory of Caporetto (October 1917) temporarily eliminated Italy as a major threat. After their initial success on the Marne, Entente and German forces began a series of outflanking manoeuvres to try to force the other to retreat, in the so-called Race to the Sea. France and Britain soon found themselves facing entrenched German positions from Lorraine to Belgium's Flemish coast. The sides took set positions, the French and British seeking to take the offensive while Germany sought to defend the territories they had occupied. One consequence of this was that the German trenches were much better constructed than those of their enemy: the Anglo-French trenches were only intended to be 'temporary' before their forces broke through the German defences. Neither side proved able to deliver a decisive blow for the next four years, though protracted German action at Verdun (1916) and Allied failure the following spring brought the French army to the brink of collapse as mass desertions undermined the front line. Both the Battle of the Somme and the Battle of Passchendaele (1917) also on the Western Front resulted in enormous loss of life on both sides but minimal progress in the war. It is interesting to note that, when the British attacked on the first day of the battle of the Somme, and lost massive amounts of men to a continuous hail of machine-gun fire, they did succeed in gaining some ground. This caused the German command to order its soldiers to re-take this ground, which resulted in similar losses for Germany. Hence, instead of a lopsided engagement, with only British soldiers attacking, which would have resulted in large amounts of casualties only for the British, the volume of attacks was rather evenly distributed, which caused even distribution of the casualties. Not even an initially devastating array of new weapons achieved the required victory: poison gas (first used by Germany on Russian soldiers without much success in battle of Bolimow on January 1, 1915; more often quoted as first use is the attack on Canadian soldiers at Ypres on April 22, 1915); liquid fire, introduced by Germany at Hooge on July 30, 1915); and armoured tanks (first used by the British on the Somme on September 15, 1916) each produced initial panic among the enemy, but failed to deliver a lasting breakthrough. Military aviation achieved rapid progress, from the development of (initially primitive) forward-firing aerial machine-guns by the German air force in the autumn of 1915 to the deployment of bombers against London (July 1917): more dramatic still, at least for Britain, was the use of German submarines (U-boats, from the German Unterseeboote) against Allied merchant shipping in proscribed waters from February 1915. Germany's decision to lift restrictions on submarine activity (February 1, 1917) was instrumental in bringing the United States into the war on the side of the Allies (April 6). The sinking of the passenger liner Lusitania was a particularly controversial "kill" for the U-boats. The Russian initial plans for war had called for simultaneous invasions of Austrian Galicia and German East Prussia. Although Russia's initial advance into Galicia was largely successful, they were driven back from East Prussia by the victories of the German generals Hindenburg and Ludendorff at Tannenberg and the Masurian Lakes in August and September 1914. Russia's less-developed economic and military organisation soon proved unequal to the combined might of the German and Austro-Hungarian Empires. In the spring of 1915 the Russians were driven back in Galicia, and in May the Central Powers achieved a remarkable breakthrough on Poland's southern fringes, capturing Warsaw on August 5 and forcing the Russians to withdraw from all of Poland. Dissatisfaction with the Russian government's conduct of the war grew despite the success of the June 1916 Brusilov offensive in eastern Galicia against the Austrians, when Russian success was undermined by the reluctance of other generals to commit their forces in support of the victorious sector commander. Allied fortunes revived only temporarily with Romania's entry into the war on August 27: German forces came to the aid of embattled Austrian units in Transylvania, and Bucharest fell to the Central Powers on December 6. Meanwhile, internal unrest grew in Russia, as the Tsar remained out of touch at the front, while the Empress's increasingly incompetent rule drew protests from all segments of Russian political life, resulting in the murder of Alexandra's favourite Rasputin by conservative noblemen at the end of 1916. In March 1917, demonstrations in St. Petersburg culminated in the abdication of Tsar Nicholas II and the appointment of a weak centrist Provisional Government, which shared power with the socialists of the Petrograd Soviet. This division of power led to confusion and chaos, both on the front and at home, and the army became progressively less able to effectively resist Germany. Meanwhile, the war, and the government, became more and more unpopular, and the discontent was strategically used by the Bolshevik party, led by Vladimir Lenin, in order to gain power. The triumph of the Bolsheviks in November was followed in December by an armistice and negotiations with Germany. At first, the Bolsheviks refused to agree to the harsh German terms, but when Germany resumed the war and marched with impunity across the Ukraine, the new government acceded to the Treaty of Brest-Litovsk on March 3, 1918, which took Russia out of the war and ceded vast territories including Finland, the Baltic provinces, Poland and the Ukraine to the Central Powers. 1917 finally saw the entry of the United States into the war. And with Russia's defeat on the Eastern Front, Germany were free to deliver troops to the west. With both German reinforcements and new American troops pouring into the Western Front, the final outcome of the war was to be decided in that front. Early in 1917 Germany resumed its policy of unrestricted submarine warfare. This, combined with public indignation over the Zimmerman telegram, led to a final break of relations with the Central Powers. President Woodrow Wilson requested that the United States Congress declare war, which it did on April 6, 1917. (Only one member of Congress, Jeanette Rankin of Montana, voted against the war). The British and French insisted that the United States emphasize sending infantry to reinforce the line. Throughout the war, the American forces were short of their own artillery, aviation, and engineering units. However, General John J. Pershing, American Expeditionary Force commander, resisted breaking up American units and using them as reinforcements for British and French units, as suggested by the Allies. On March 21 1918 Germany launched a major offensive, "Operation Michael", against British and Commonwealth forces. The German army developed new tactics involving stormtroopers, infantry trained in Hutier tactics (after Oskar von Hutier) to infiltrate and take trenches. The Allies reacted by appointing French Field Marshal Ferdinand Foch to coordinate all Allied activity in France, and then as generalissimo of all Allied forces everywhere. The German offensive moved forward 60 km and pressed the British lines so much that the British Expeditionary Force (BEF) commander, Field Marshal Sir Douglas Haig, issued a General Order on April 11 stating "With our backs to the wall and believing in the justice of our cause each one of us must fight on to the end." However, by then, the German offensive had stalled because of logistical problems. Counterattacks by Canadian and ANZAC forces pushed Germany back. The American Expeditionary Force, under General John Pershing, entered the battle lines in significant numbers in April 1918. At the Battle of Belleau Wood, from June 1 to June 30, 1918, the Second Division, including the United States Marine Corps, helped clear out the German offensive threatening Paris. On July 18, 1918, at the Battle of Chateau-Thierry, French and American forces went on the offensive. The British Army, using a large number of tanks, attacked at Amiens on August 8 causing such surprise and confusion that German commander-in-chief, General Ludendorff, said it was "the blackest day of the German army." On September 12 the First United States Army, which had recently been organized from the American Expeditionary Force, eliminated the Saint-Mihiel salient, which Germany had occupied since 1914. This salient threatened the Paris-Nancy railroad line. American forces were short of artillery support, which was provided by the French and British. This also was the first use of the U.S. Tank Corps, led by Lieutenant Colonel George S. Patton. Four days later, the salient was cleared out. On September 26 American forces began the Meuse-Argonne Offensive, which continued until the end of the war. A key German observation post on Hill 305 in Montfaucon d'Argonne was captured on September 27. Approximately 18,000 Americans fell during this offensive. This was the first offensive conducted by the United States as an independent army. General Pershing's general thrust was the Rhine River, which he expected to breach early in 1919. On October 24 the Italian Army, with very limited American assistance, began the Vittorio Veneto offensive against the Austro-Hungarian Empire, which lasted until November 4. Bulgaria was the first of the Central Powers to sign an armistice (September 29, 1918, followed by Turkey (October 30) Germany requested a cease-fire on October 3, 1918, followed by Austria-Hungary. The fighting ended with an armistice agreed on November 11 at Compiègne. Austria and Hungary had signed separate armistices following the overthrow of the Habsburg monarchy. When Wilhelm II. ordered the German High Seas Fleet to sortie against the Allied navies, they mutinied in Wilhelmshaven starting October 29, 1918. On November 9, a German Republic was proclaimed, marking the end of the 1871 German Empire. The Kaiser fled the next day the Netherlands, which granted him political asylum. See Weimar Republic for details. The First World War was different from prior military conflicts: it was a meeting of 20th century technology with 19th century mentality and tactics. This time, millions of soldiers fought on all sides and the casualties were enormous, mostly because of the more efficient weapons (like artillery and machine guns) that were used in large quantities against old tactics. Although the First World War led to the development of air forces, tanks, and new tactics (like the Rolling barrage and Crossfire), much of the action took place in the trenches, where thousands died for each square metre of land gained. The First World War also saw the use of chemical warfare, and aerial bombardment, both of which had been outlawed under the 1909 Hague Convention. The effects of gas warfare were to prove long-lasting, both on the bodies of its victims (many of whom, having survived the war, continued to suffer in later life) and on the minds of a later generation of war leaders (Second World War) who, having seen the effects of gas warfare in the Great War, were reluctant to use it for fear that the enemy would retaliate and might have better weaponry. Notable infantry weaponry of WW1 included the Maxim machine gun and the cannons without recoil as the French 75. British forces used the Lewis gun and Webley. American forces used the Browning Automatic Rifle and M1911. German forces used the Karabiner 98k and Luger. French forces used the Chauchat. Many of the deadliest battles in history occurred in this war. See Ypres, Vimy Ridge, Marne, Cambrai, Somme, Verdun, Gallipoli. See Wars of the 20th Century for various totals given for the number that died in this war. For instance, is it proper to consider the Influenza pandemic (see below) as part of the overall death count for the war, given the important part the War played in its transmission? The Allied Powers (from Triple Entente) were the countries at war with the Central Powers during World War I. The main allies were the Russian Empire, United Kingdom, Canada, Australia, Italy, the Empire of Japan, and the United States. France, Russia, and the United Kingdom (including its empire), entered World War I in 1914, as a result of their Triple Entente alliance. Many other countries later joined the Allied side in the war.